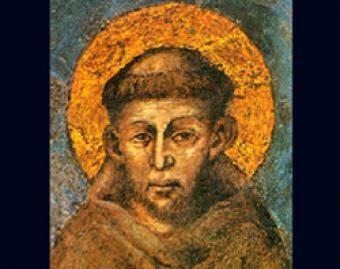 Francis of Assisi is known for giving it all. His father, a wealthy merchant, demanded Francis relax his zeal for Christ or renounce all claims to his inheritance. Francis answered by removing his clothes and returning them to his astonished father. This attitude marked the rest of Francis’s life. I have always found Francis deeply challenging. Spiritually speaking, this guy is no sissie. His commitment to be like Jesus reminds me why I am a Christian and fills me with (I pray) godly jealousy. What follows are quotes, a story, and a prayer connected with Francis. Like Francis’s life, these take me to the heart of the gospel and of God. Thank you so much, Emee 🙂 We aren’t always aware of how the Lord is coming through us. Many days I feel like Abraham–considering myself as good as dead (Rom. 4:19). I am grateful Christ is my life. He enables me to “hope against hope” (Rom. 4:18).